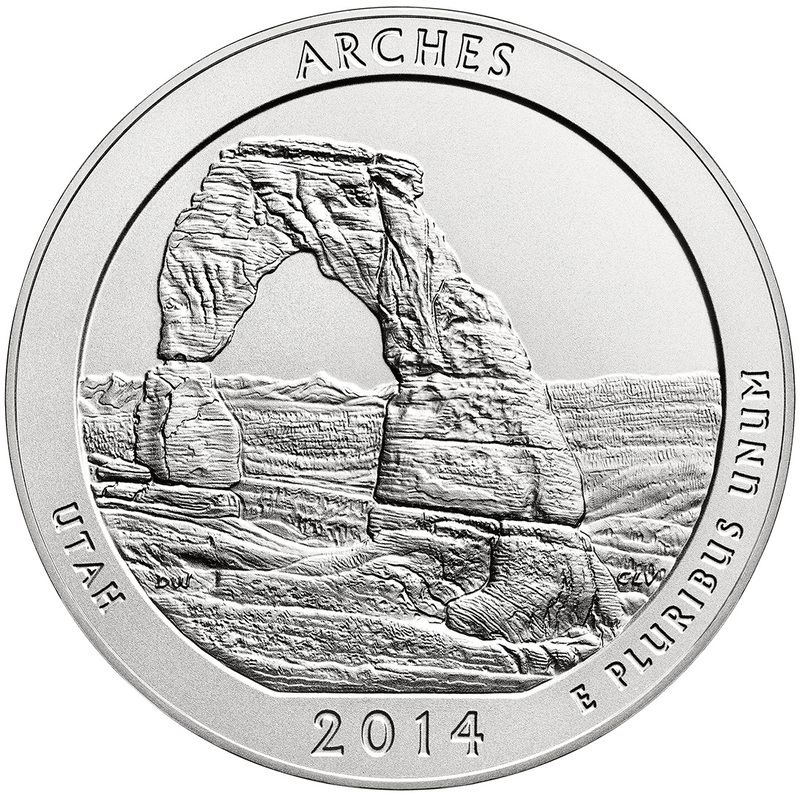 Arches National Park takes center stage next week at the United States Mint as rolls and bags of the Arches Quarter will be released for sale to the public on Monday, June 9, 2014. 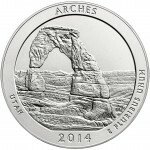 Then, on Thursday, June 12th, the U.S. Mint will release the Arches Five Ounce Silver Uncirculated Coin. Each of these products contain a reverse design emblematic of Arches National Park located in the state of Utah. The image depicts Delicate Arch with the La Sal Mountains visible in the background. 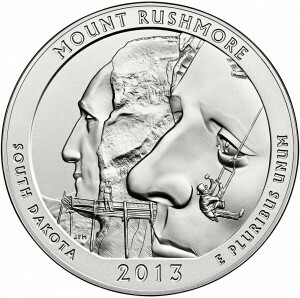 The reverse was designed by AIP artist Donna Weaver and executed by United States Mint Sculptor-Engraver Charles L. Vickers. 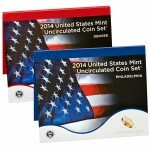 When issued, the products may be ordered directly from the United States Mint via its website of www.usmint.gov, or by calling 1-800-USA-MINT (872-6468). The United States Mint has two products scheduled for release next week including the 2014 United States Mint Uncirculated Coin Set® and the 2014 Shenandoah National Park America the Beautiful Five Ounce Silver Uncirculated Coin™. 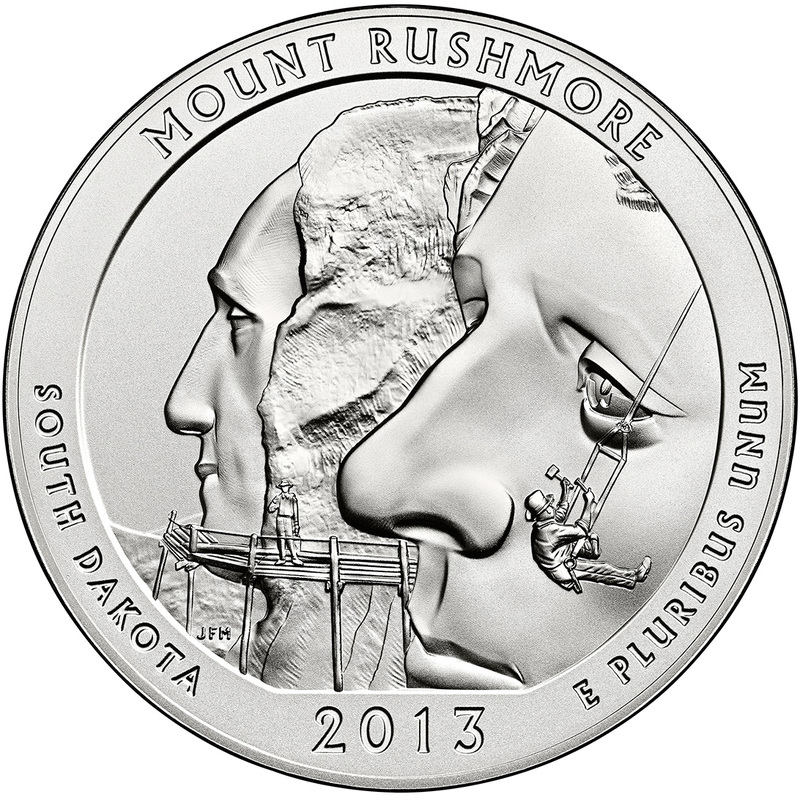 Now available for purchase directly from the United States Mint is the 2013 Mount Rushmore Five Ounce Silver Uncirculated Coin. 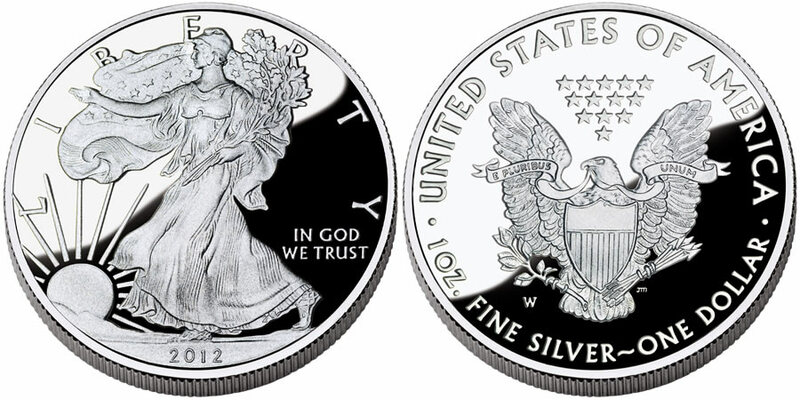 This strikes is issued as the last of five 2013-dated releases of the US Mint's America the Beautiful Five Ounce Silver Uncirculated Coin™ Program. 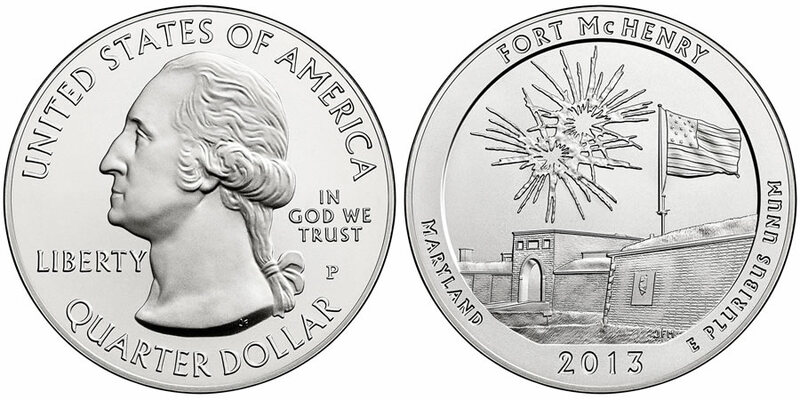 The United States Mint today, August 29, 2013, released the 2013 Fort McHenry Five Ounce Silver Uncirculated Coin for sale to the public. 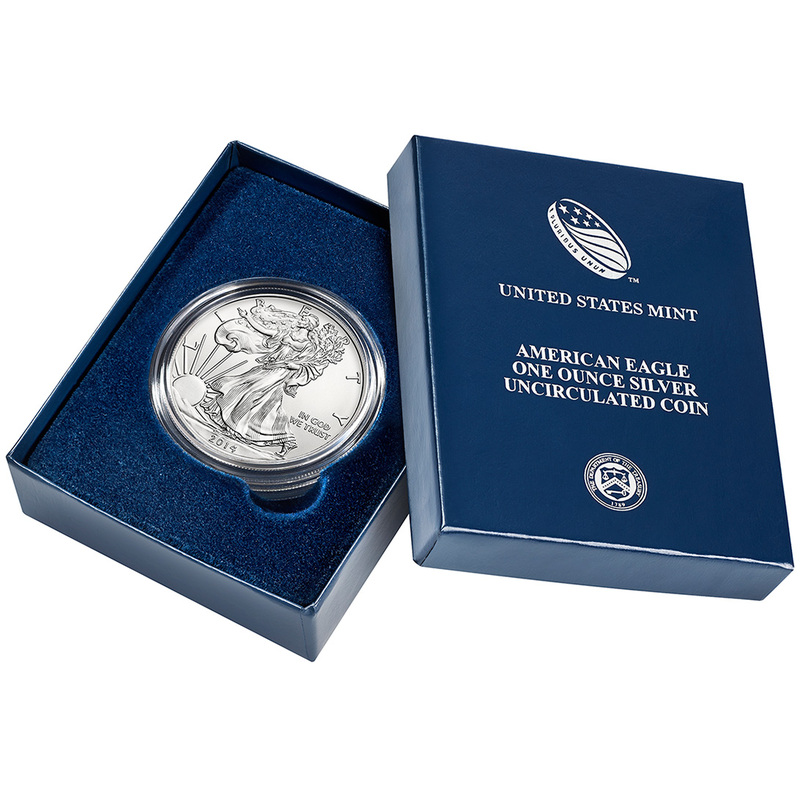 Each uncirculated coin is currently being sold for $154.95, but that pricing is subject to change based on silver market conditions. Anticipated pricing for a majority of the numismatic products to be released in 2013 has been published by the United States Mint. The pricing follows a rather thorough 2013 US Mint Product Schedule which had been unveiled by the Mint earlier this month. The new pricing indicates that several silver products will see price increases in comparison to similar items released in 2012. Notable among those increases are the 2013 Proof Silver Eagles which will debut at a price point of $62.95. This is $3 higher than the 2012 Proof Eagle sold for. The United States Mint has unveiled a 2013 Product Schedule that already encompasses a total of forty-seven different products. This new schedule includes release dates ranging throughout the year from January 8, 2013 through December of 2013. 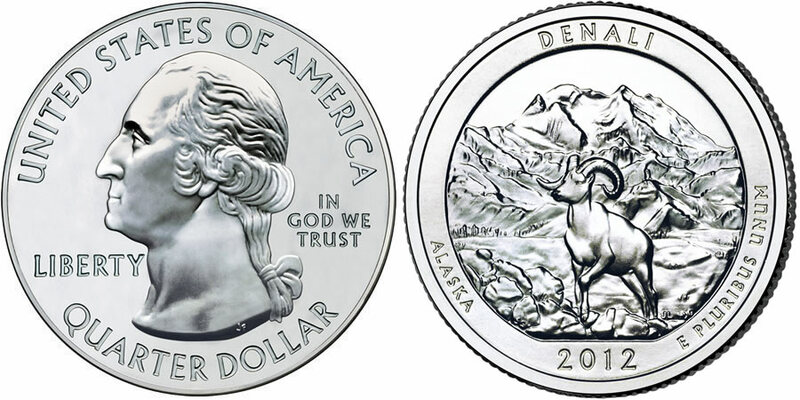 The United States Mint today, November 5, 2012, will be releasing the 2012 Denali National Park Quarters in several new products available beginning at Noon (Eastern). 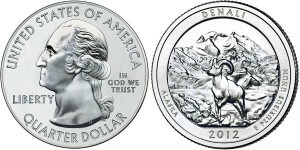 Also at that time, the US Mint will debut the 2012 Denali 5 oz Silver Uncirculated Coins. The United States Mint has suspended the sale of several numismatic silver products as it plans a price increase for the items. 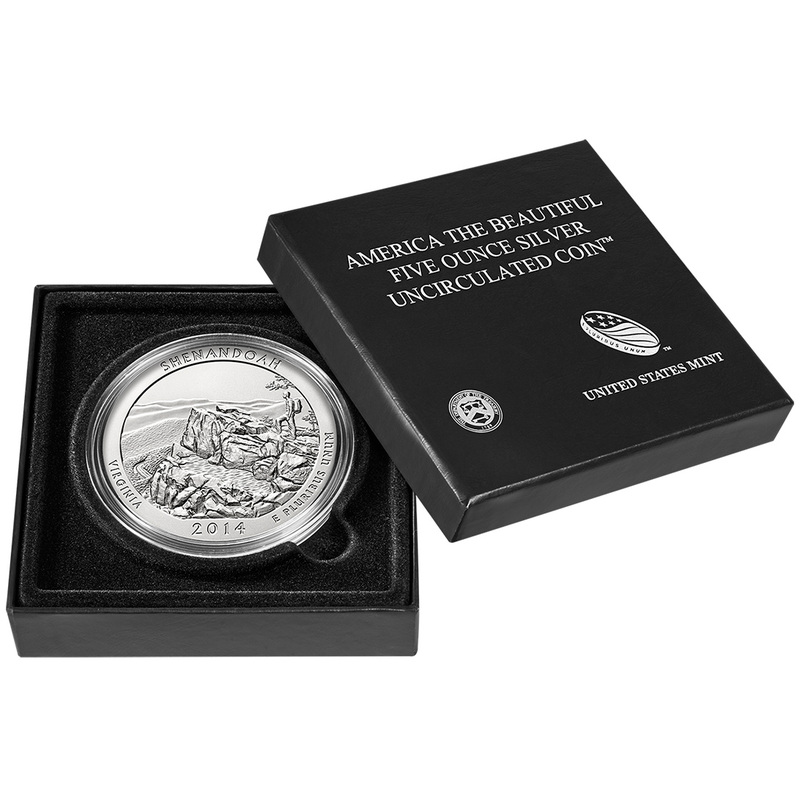 Visitors to the US Mint's online store will see "This product is temporarily unavailable for product repricing" on the pages of the affected products. The United States Mint today, July 9, 2012, released the 2012 Chaco Culture Silver Uncirculated Coin. 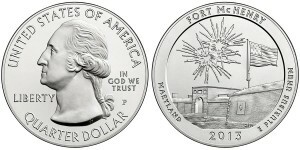 This coin is currently available for $204.95, plus the US Mint's standard shipping and handling charge of $4.95 per order.